...basking under my yellow sky...: 9th wonder?! 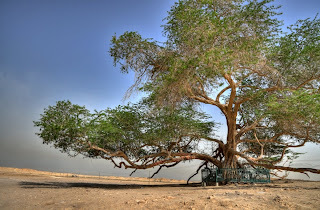 The Tree of Life (Shajarat-ul-Hayat) in Bahrain is one of the mysteries of world. 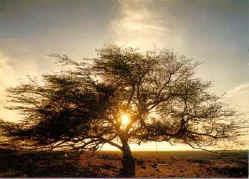 It is a four century old mesquite tree which survives in the midst of desert. The mystery of the survival of the tree has made it a legend since it stands in a place completely free of water. It has continued growing-despite the extremities of the climate. We should all learn a little something from the wisdom of this tree.